If you’re in the mood for some stirring photography, there’s no greater example of the power and fury of planet earth than the volcano (AKA nature’s pimple). To promote the upcoming book Earth on Fire: How Volcanoes Shaped Our Planet by Angelika Jung-Hüttl and photographer Bernhard Edmaier, Treehugger has published a slide show of awesome volcano photos. 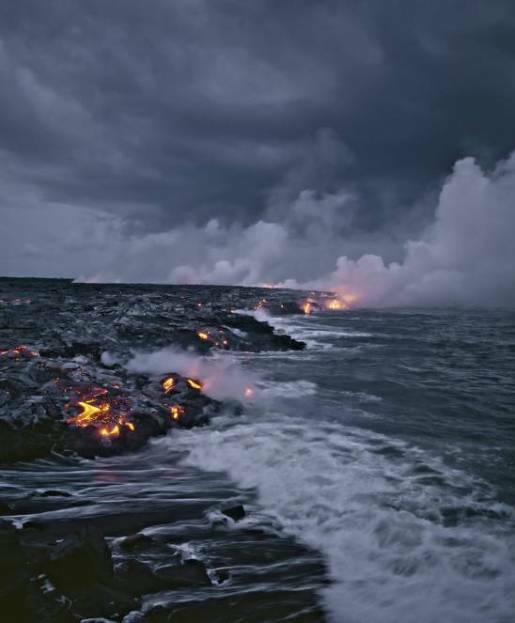 It features stunning photos of volcano hot-spots throughout the world, like this photo from Mount Kilauea on the big island of Hawaii. Of course, the title of the book made me think of a movie. Val Guest’s classic sci-fi drama The Day The Earth Caught Fire is one of the all-time classic “Earth potentially destroyed by atomic warfare” movies ever written. , but few people love atomic explosions that might have pushed the Earth off its axis and towards the sun.